My professional education has been obtained from Kaplan Financial College where I have studied both life and health insurance, and property and casualty insurance. I have attended DeVry University were I pursued a bachelor of science degree in networking and communication management. During my junior year at DeVry the cost created a significant financial pitfall. Later transferred to Nevada State College where I am currently pursuing a bachelor of science in business administration. My expected completion date is June of 2020. Other Experience: While growing and managing Insurance Group of Nevada I served as a English Language Learner (ELL) 4th and 5th adjunct instructor for the Clark County School District. Working in this capacity allowed me to learn in explicit details the concerns for the Las Vegas community through the public education system. I believe that our young children is our future, they are children that someday will enter the workforce as productive citizens. I am honored to have had that opportunity. Making a difference in a child’s life, and the Las Vegas community. 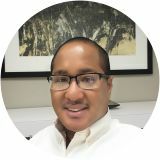 ﻿﻿Dante Thompson is a commissioned Notary in the State of Nevada, and has posted a bond in the amount of $10,000 to the State of Nevada Secretary of State. Dante Thompson is not an attorney and unable to provide any legal advice. Each Signer $5.00 per document. includes one notarized document. Additional documents is $5.00 each.